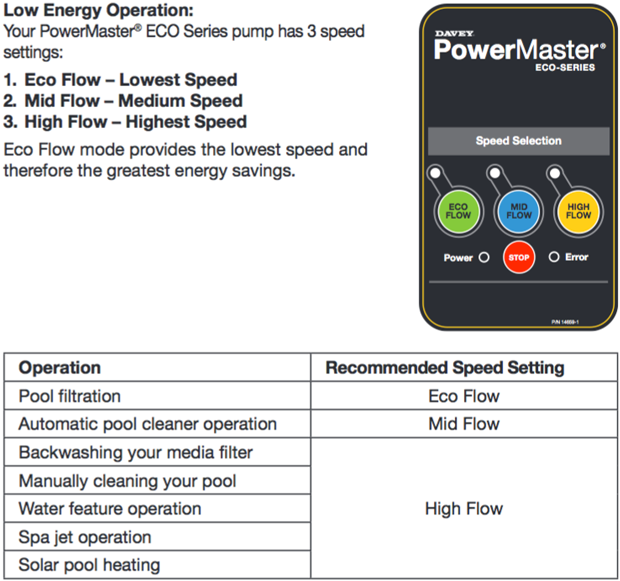 8 Star Energy Efficient Swimming Pool Pump from Davey with low running costs and exceptional performance.The premium Davey PowerMaster specifically designed to circulate swimming pool water for filtration and in-floor cleaning applications. 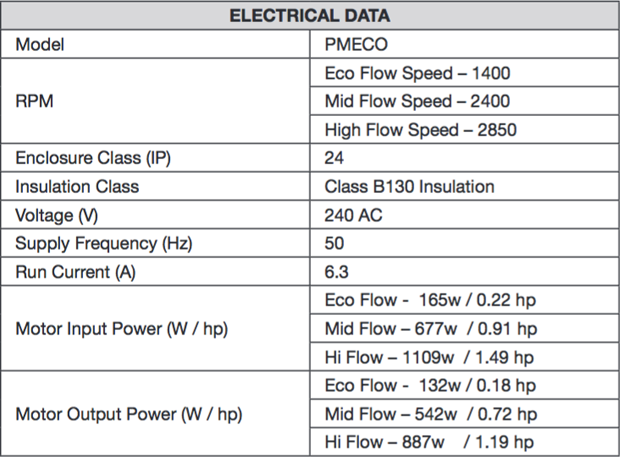 Variable three speed motor allows very high efficiency. Intelligent - Three speed control for efficient use all year round. The variable speed motor allows you to choose from ECO Flow for pool filtration, Mid Flow for automatic pool cleaning and High Flow for all other tasks. Low Emissions - Comes with 8 Star energy efficiency rating, with super low emissions and even lower power usage. 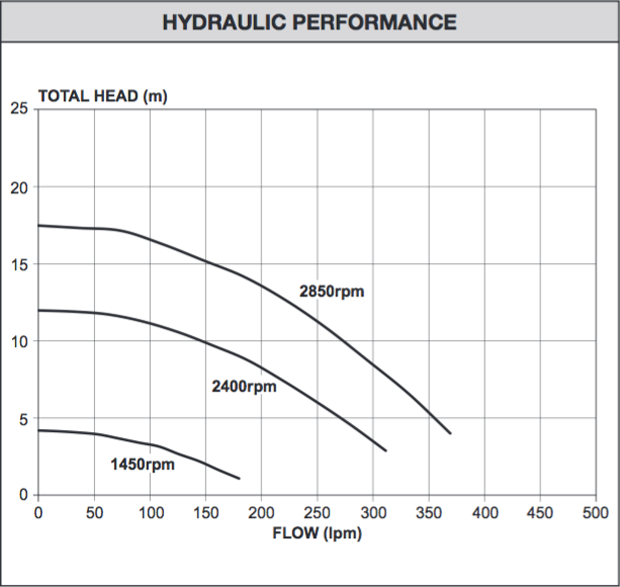 Lower Noise Levels - Quiet noise level of only 60.5db, allowing you to run your pump at any time of day or night. Davey Dependability Built In - Using the latest brushless DC motor technology, the PowerMaster® ECO offers dependability you have come to expect from all Davey products. 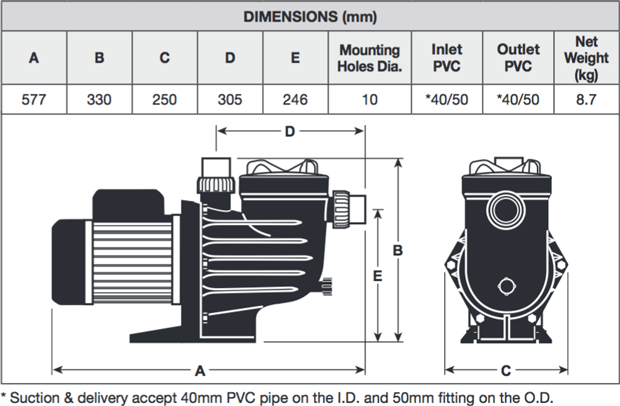 3 year Guarantee - Peace of mind from an Australian designed and engineered pool pump. Seen better price?We beat any quote!